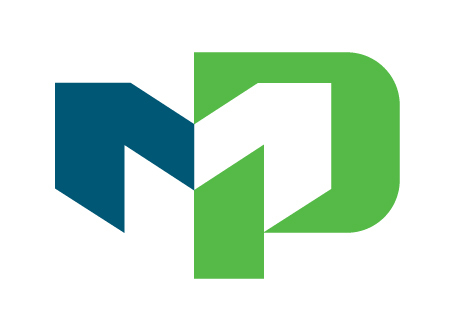 Each year, Moraine Park Student Life engages students in various community events and initiatives. 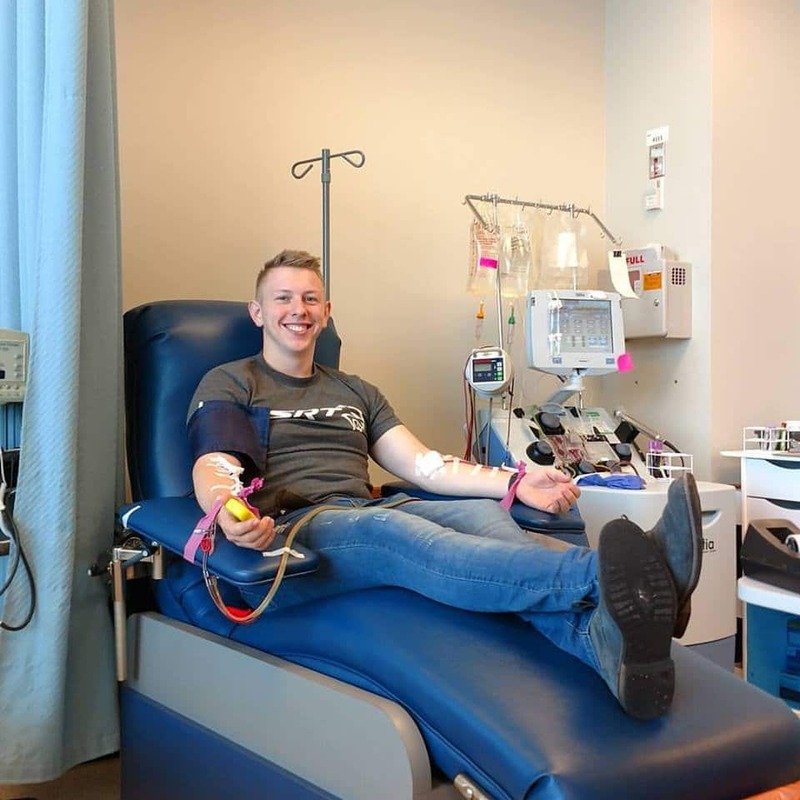 Those initiatives result in good causes being supported, fun–and even life-changing touch points, as was the case after last year’s Be the Match drive. Fun as usual at Techniques Salon and Spa! 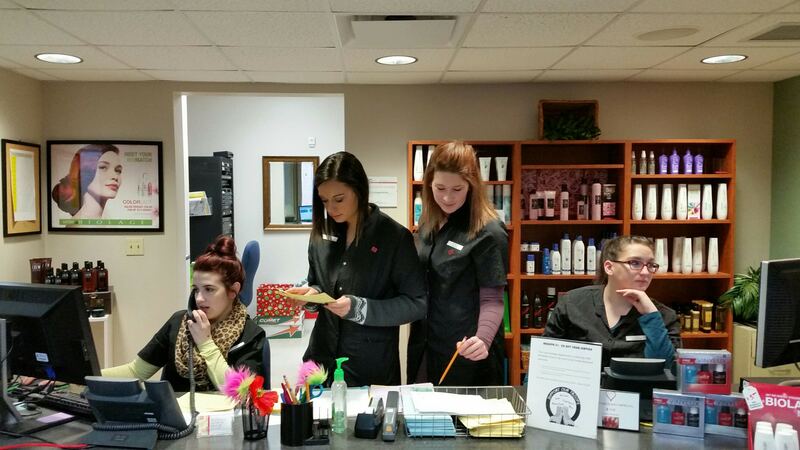 The students are in the salon every day this semester. Stop by and see what is happening or better yet, make an appointment. Call 920-929-2106. To view hours, click here. Services and prices, click here. You’re getting sleeeeepy. Very, very sleepy. You’re not? Hmmm … well, I guess we’ll leave that to the pros, like hypnotist Chris Jones. He’s appeared on America’s Got Talent, and visited our campuses this week at Moraine Park to give several hilarious performances sponsored by our Student Senate groups. 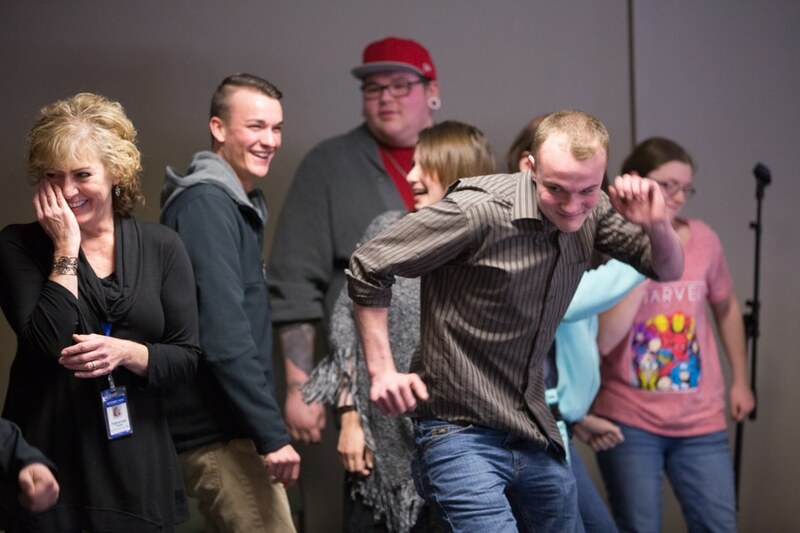 A large outpouring of faculty, staff and students turned out to witness the energetic, interactive fun. How much fun? Well, take a look at the silliness we enjoyed in the gallery below. And while looking at the increasing mix of shock, laughter and disbelief on everyone’s faces, we dare you not to smile! Keep scrolling now. You’re feeling smiley already, aren’t you? Very, very smiley! The definition of art is: the expression or application of human creative skill and imagination, typically in a visual form such as painting or sculpture, producing works to be appreciated primarily for their beauty or emotional power. 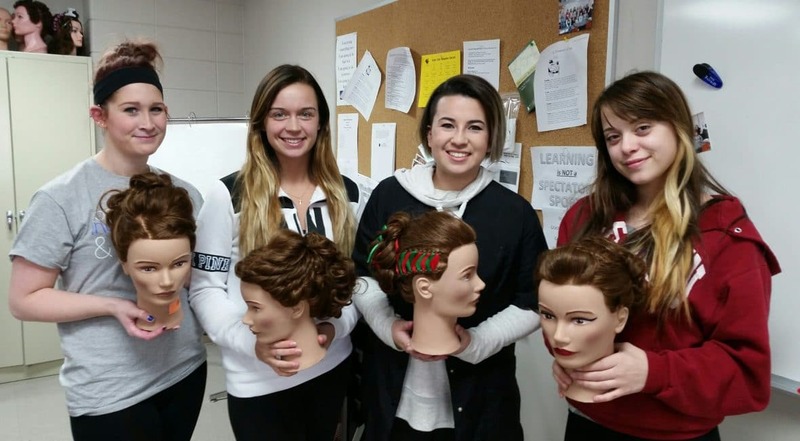 Cosmetology students definitely express their art skills through design and creativity working on clients and other projects. 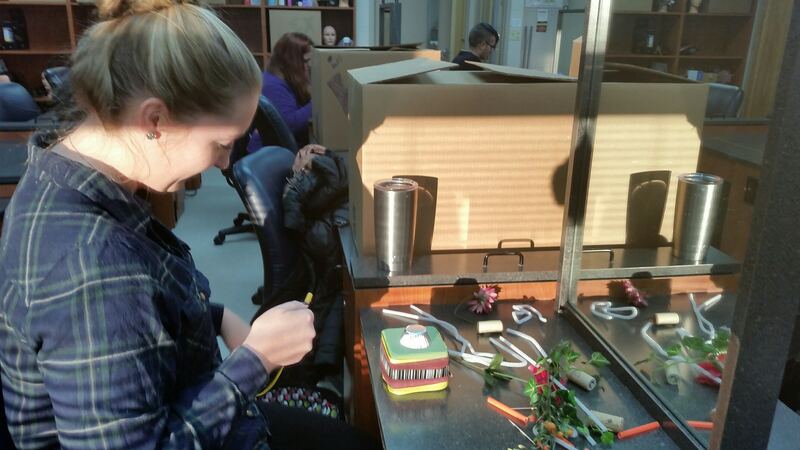 A project our current “Jr” class was given was to create something out of miscellaneous items. They could create whatever they wanted. Here are some photos that show them creating and what they came up with. It’s been another great week in the salon. If you’d like to make an appointment, please call 920-929-2106. To view hours, click here. Services and prices, click here. 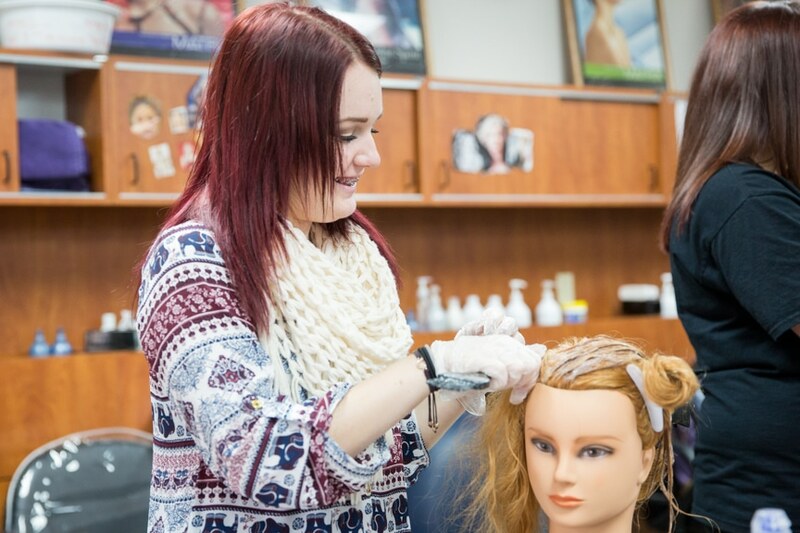 Also, to find out how you can start a career in Cosmetology, click here. Techniques Salon and Spa is OPEN again!! Click here to check out our new hours! 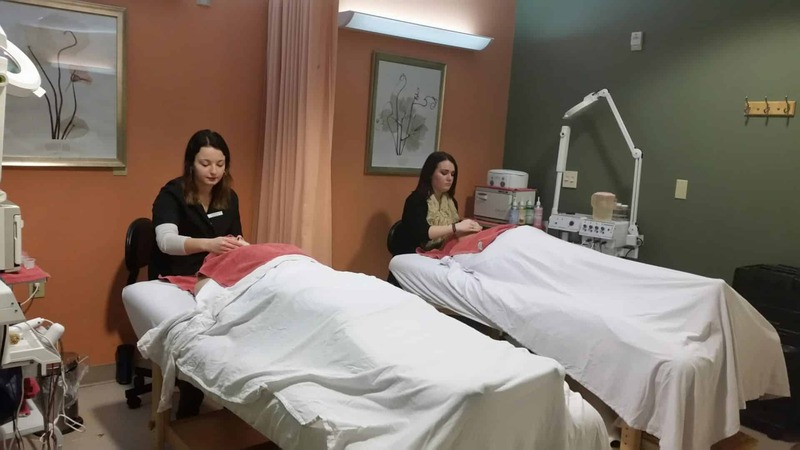 Our current class in the salon is available to perform haircuts, scalp treatments, color services and perms. Please call 920-929-2106 for an appointment. Here’s a look at our first day back on the floor, with students already doing fun colors and cuts! It is known that the best way to learn is by doing. 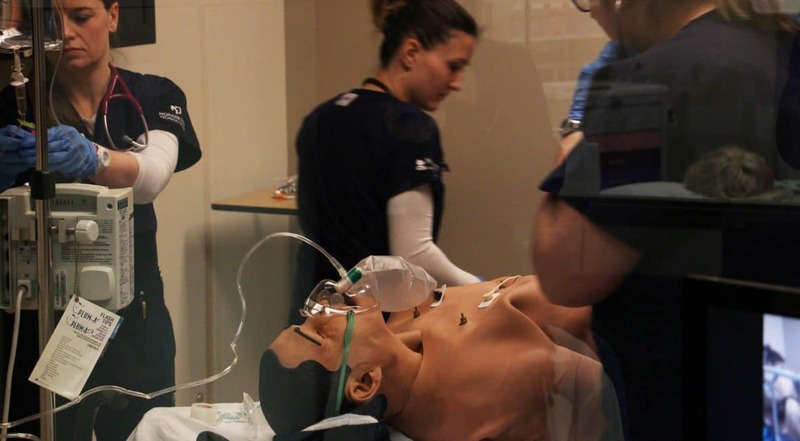 This is how the Moraine Park nursing program teaches their nursing students every day in the simulation center located on the West Bend campus.